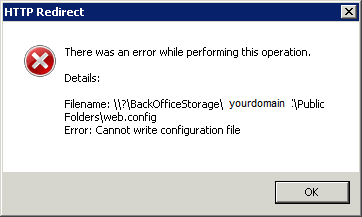 Solution: This error is generated because these virtual directories don’t have a physical path. You can solve this issue by opening a command prompt window. Change directory to Windows\system32\Inetsrv. Then run this command: appcmd set config “/” /section:httpredirect /enabled:false -commit:apphost. Change and for your specific environment. Posted in Blog, Exchange 2007, Exchange 2010, SBS 2008 at December 21st, 2010. No Comments. 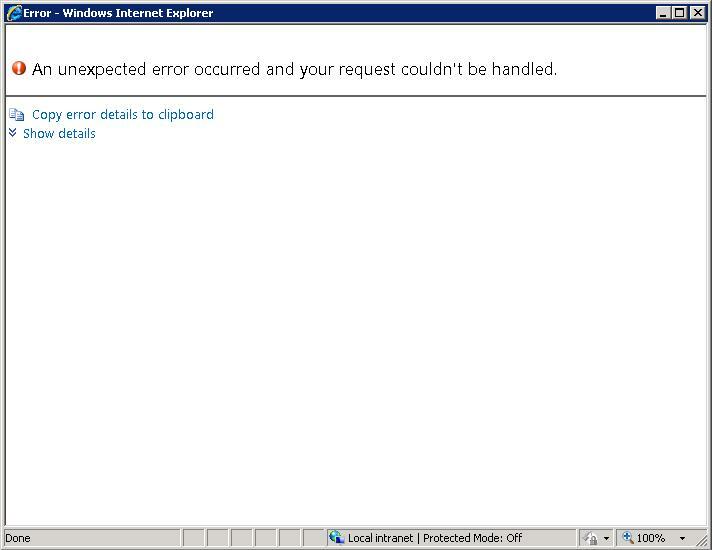 After installing a exchange 2010 roll-up you will get a blank browser page when you try to reach your outlook web app (owa) site. When click on the error sign at the bottom of your browser you see a syntax error flogon.js like below. Solution: Start an exchange management shell (powershell) with run as administrator. Then browse to the directory and run the roll-up package like this: ii Exchange2010-KB982639-x64-en.msp. KB982639 stands for exchange 2010 roll-up 4 if you use a other roll-up change the kb number. Posted in Blog, Exchange 2010 at July 16th, 2010. 1 Comment.